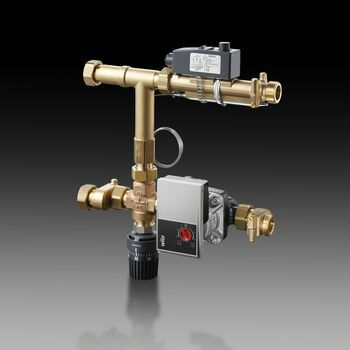 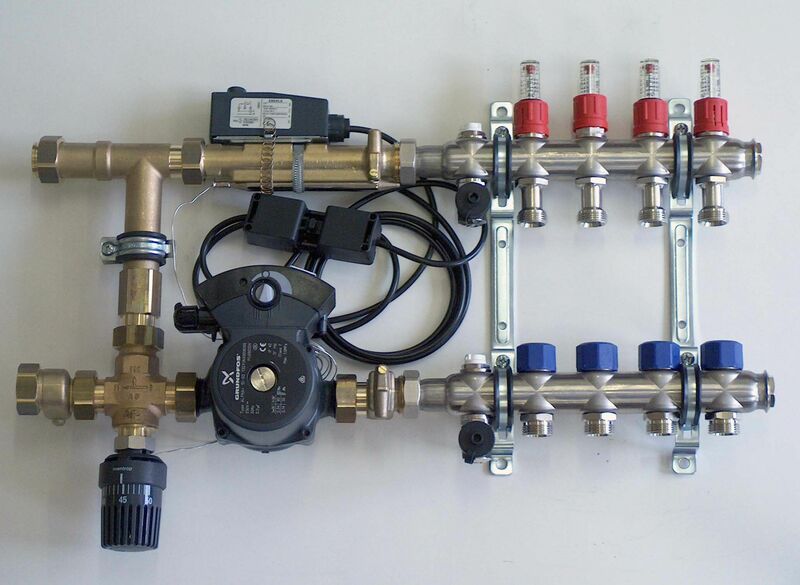 Fixed value control unit for connection to the stainless steel distributor/collector. 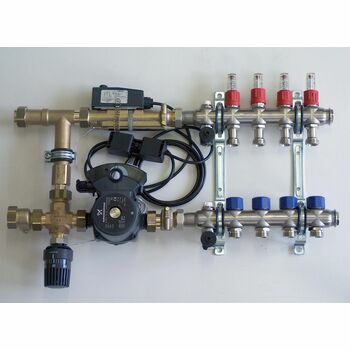 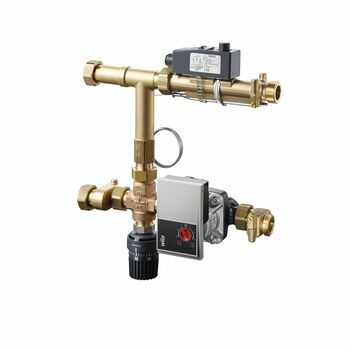 Pre-assembled and tested fixed value control unit with Wilo Yonos Para pump, three-way diverting valve, check valve and temperature controller with contact sensor and heat transfer unit. 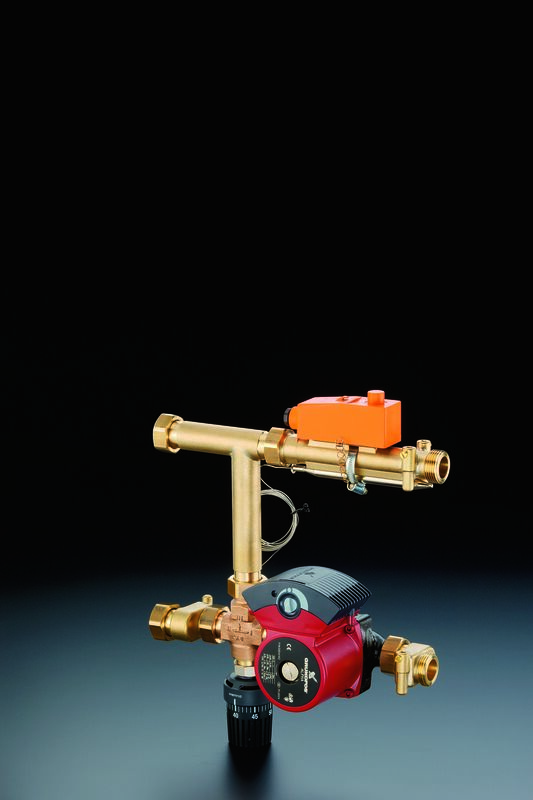 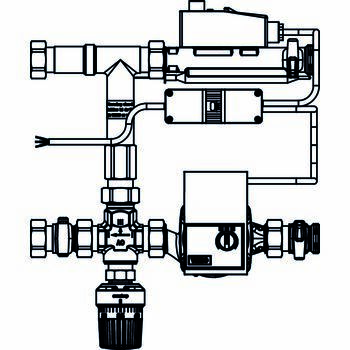 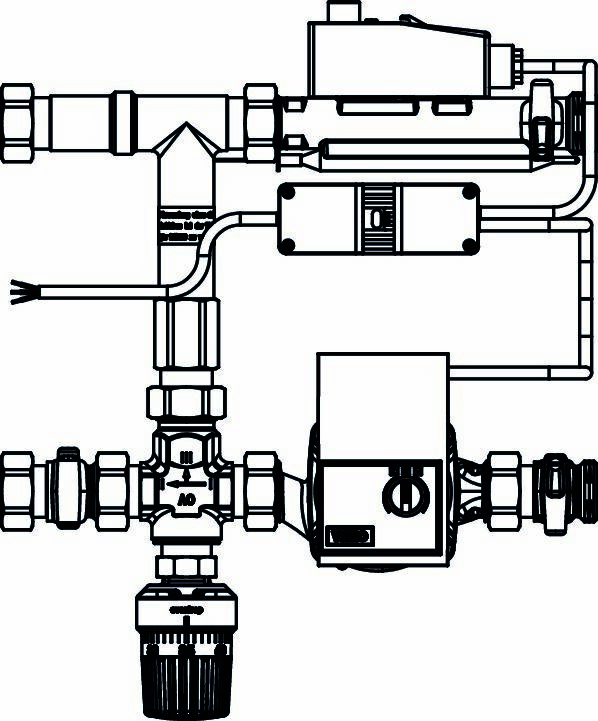 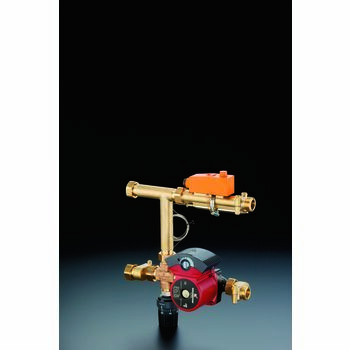 T-connection piece with check valve and sensor body, for "Regufloor"
High-efficiency pump Wilo-Yonos PARA as replacement for "Regufloor"